Fortunately, people are beginning to recognize the situation. 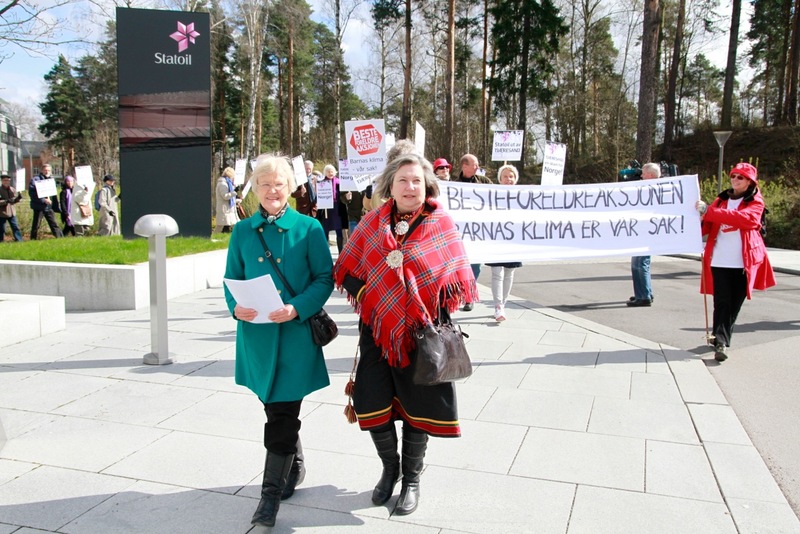 Today the Norwegian Grandparent's Climate Campaign, supported by 27 other organizations, delivered a demand to Statoil (Norwegian government being 2/3 owner of Statoil), the principal tar sands funder, to withdraw support for tar sands development. Given the stranglehold that the fossil fuel industry has on governments worldwide and their effective campaigns to misinform the public, this may seem to be a small step. But do not underestimate the potential of people dedicated to a righteous cause to initiate a broader public recognition and understanding of where the public's interest lies. Dr. James Hansen heads the NASA Goddard Institute for Space Studies in New York City and is Adjunct Professor of Earth and Environmental Sciences at Columbia University’s Earth Institute. Link.